This is 35 year old white male with extensive hair loss from front toward the crown as shown in pre op picture. His hairs are medium brown, medium fine, wavy, density 83%. He underwent strip FUT on June 11,12 4059 grafts roughly 9,203 hairs (1 hr=410 grafts, 2-hairs=2,560 grafts, 3-hairs=818 grafts, 4-5 hairs=271 grafts) were transplanted from front to mid scalp. Below are the pre and post op pictures were taken 11 months after surgery with his hair cut short and still looking good. He underwent 2nd session strip FUT at crown with the same scar on May 23rd, 3,132 grafts were transplanted. 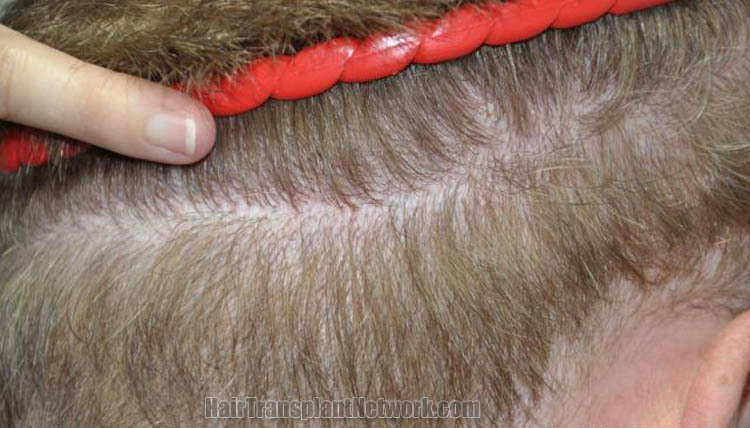 His entire large balding area was completely transplanted from front to the crown. Hair restoration surgery using 4059 grafts shown from the front, viewing before and after photos. Hair restoration surgery using 4059 grafts viewed from the top, displaying before and after images. Hair restoration surgery with 4059 grafts displayed from the left, viewing before and after pictures. Hair transplant surgery with 4059 grafts shown from the right, viewing before and after photos. Hair transplant session using 4059 grafts displaying immediate postoperative photos, viewed from the top / crown. 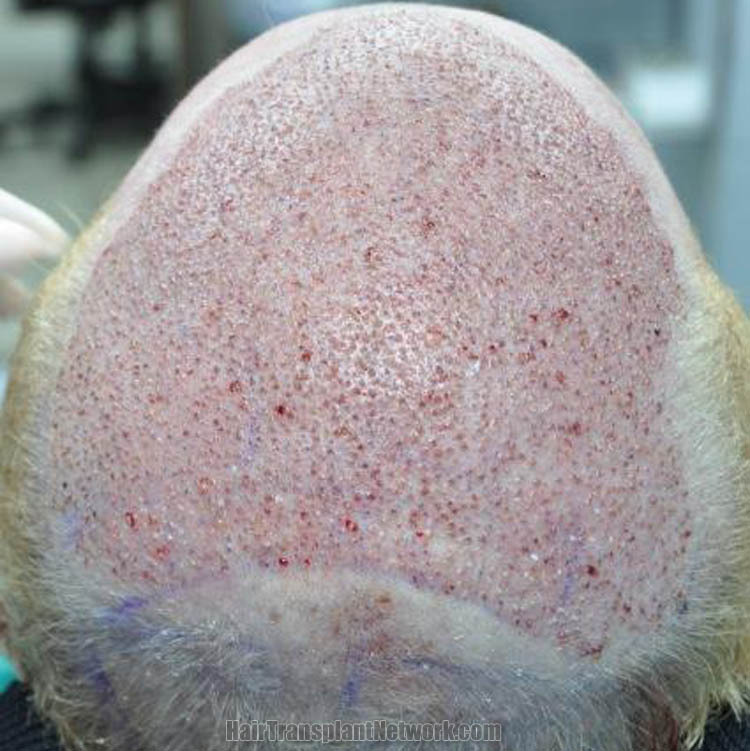 Hair transplant procedure using 4059 grafts displaying the patient’s residual donor area scar 11 months postoperative.